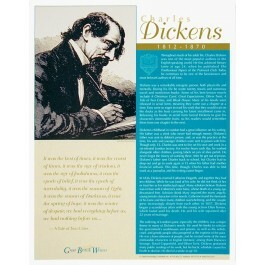 This poster focuses on the great 19th century British author Charles Dickens. It is one of a series of ten posters of Great British Writers. 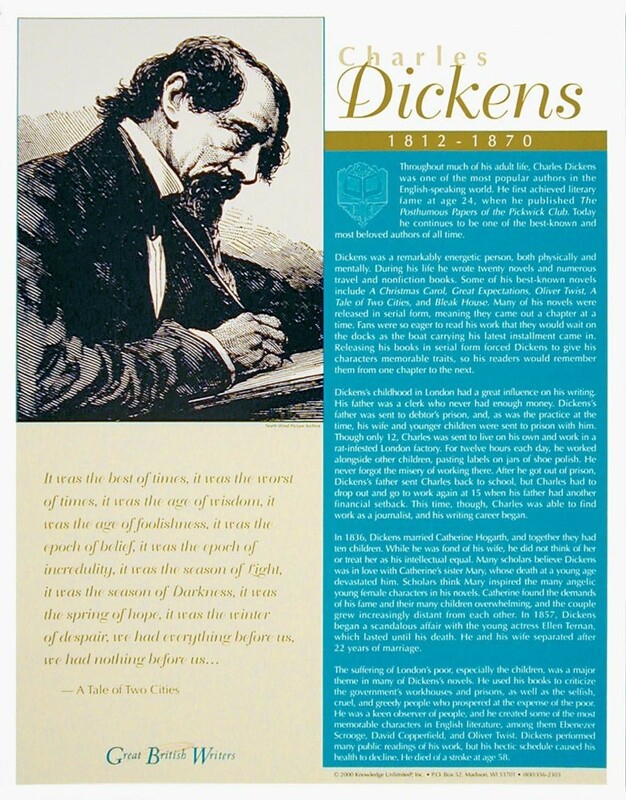 The poster includes an artistic depiction of Dickens, along with biographical text and a quote from the opening of one of his best-read works, "A Tale of Two Cities." The quote begins "It was the best of times, it was the worst of times,...."